In Part I of this series, we looked at the basics of order theory in order to explore the concept of a join semi-lattice, which is the basis for Convergent CRDTs (or CvRDTs). If you haven’t read that post, I highly recommend reading it before continuing since we’ll be building on it here. 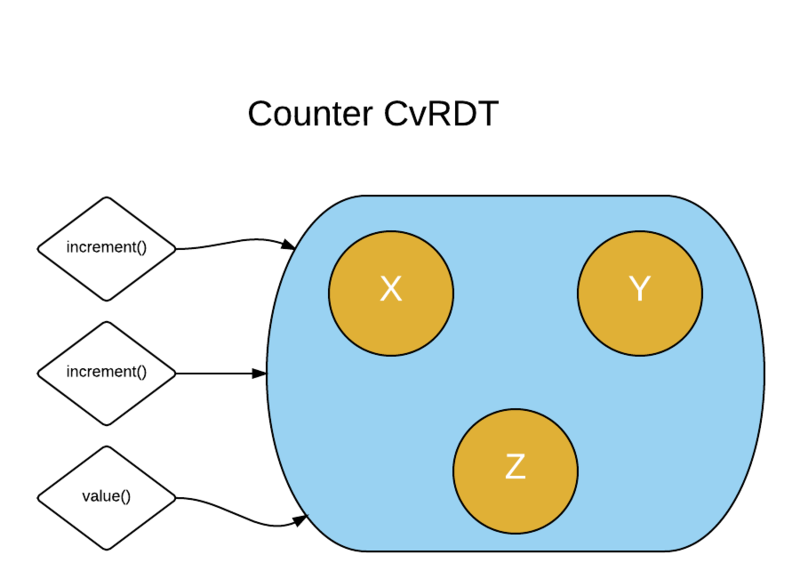 In this post, we’ll look at CvRDTs in detail, starting with how they work in general before implementing a simple example of a grow-only distributed counter. Convergent CRDTs (or CvRDTs) are replicated data structures that, when merged, converge toward a value. There are two basic components of a CvRDT that we need to keep in mind. First, we have state. We can treat all the possible states as elements of a set. For a CvRDT, that set must be ordered by some binary relation. Imagine, for example, that our state is a counter. As a naive first start, we might think of all the possible states of our counter as all the integers, and our order as less than or equal to on those integers. The other key component of a CvRDT is a merge() function. The whole point of CvRDTs is to replicate state across nodes. We need a merge function in order to ultimately keep that state in sync. For CvRDTs, the merge function acts as a join for our order. In each case, the max of the two integers is the least upper bound on those integers. If this is all a little unclear at this point, don’t worry. We’re going to continually return to these same examples in what follows. But the important point to keep in mind is that, when defining a CvRDT, we have to determine a set of states, a relation that orders that set, and a merge function that acts like a join for that order. It’s important to draw a distinction between the particular set of states we have at the moment (what I’m calling our System) and the background set. In our first example above, our System consists of three integers, , , and . Our background set is the set of all integers. In order to keep this clear, I’m going to start talking about Systems and background sets from now on. Notice that we’re taking an element from the background set that wasn’t originally part of our System and adding it to our diagram. In this case, it was India. I’ve marked it a different color to indicate that it’s not actually part of our System (yet). Now if you look carefully at our diagram, you’ll see that no matter which two elements we pick, we can find the join on the diagram. That’s because Earth is an upper bound on everything else in the diagram, so we can always at least get to that upper bound. The order of merges doesn’t matter. This is guaranteed by the associativity and commutativity of joins. It doesn’t matter how many times we repeat a particular merge. This is guaranteed by the idempotence of joins. The great thing about CvRDT’s is that they allow us to abstract away these network/System details. Let’s implement a counter to illustrate this idea. We’d like for this counter to be replicated across three nodes. 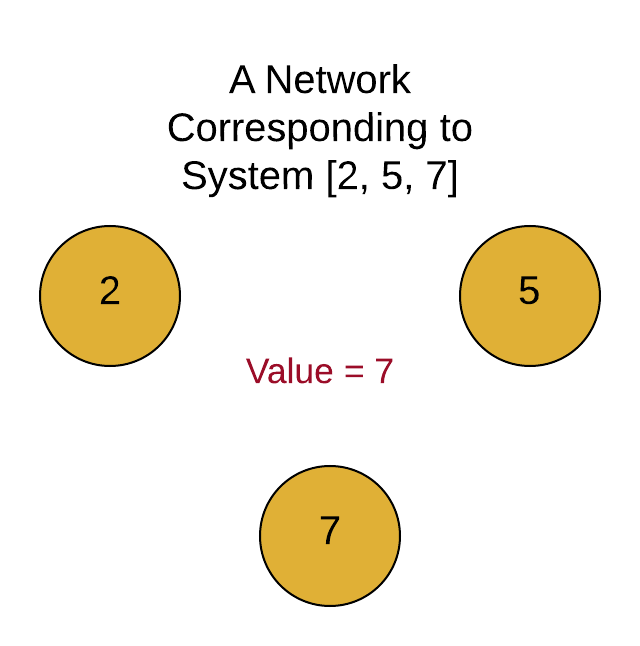 The idea is that users should be able to interact with any one of these three nodes but never see inconsistent results as long as they remain connected to the same node. Furthermore, we need these nodes to stay in sync over time (eventually). The starting value of our System is . Now imagine that increment() is called once on node , twice on node , and three times on node . The value should then be equal to . 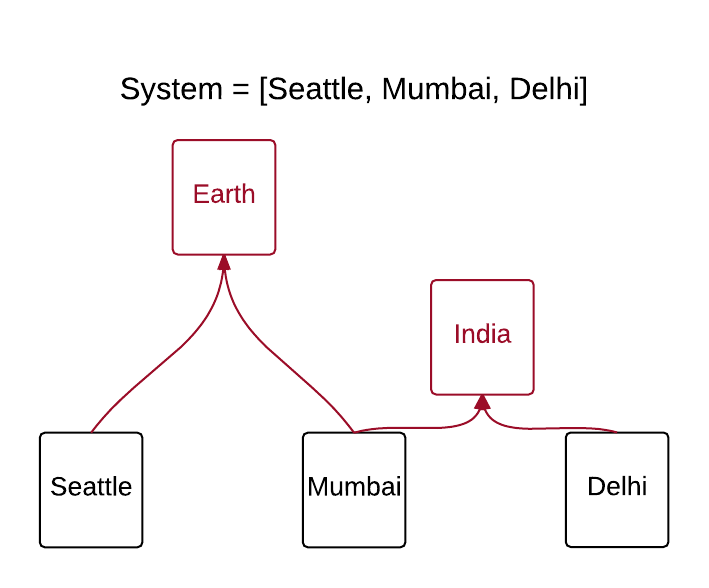 But remember the important point about the value of a System: The Value doesn’t necessarily exist on any one node. Instead, it’s the upper bound of our join semi-lattice. That is, it’s the Value towards which our merges are converging. The idea is that the Value will eventually be reflected in all nodes. And no coordination is required beyond passing states around. The order of merges doesn’t matter. And it also doesn’t matter how many times we repeat a particular merge. What this means is that we can simply pass states around whenever it’s convenient. There is no need to keep track of where merges have occurred in the past or in what order they’re going to occur. 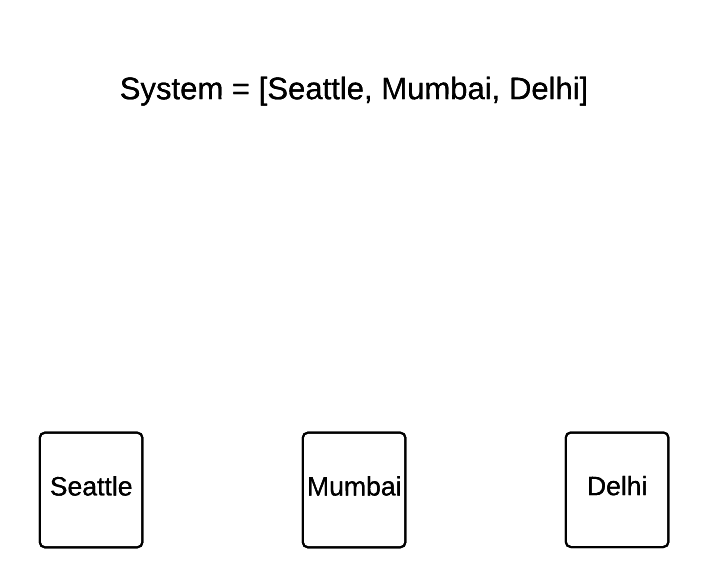 A state type ordered by some relation. A merge() operation that acts as a join for our order <>. 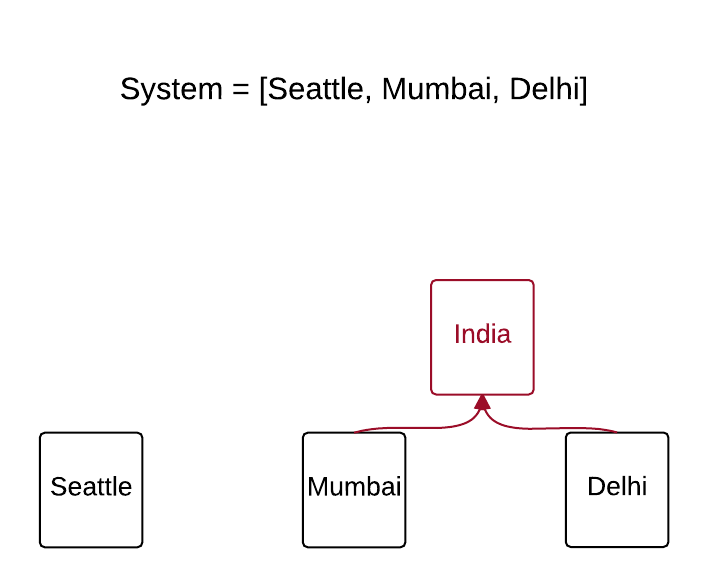 Each node is going to have a value we’ll call local state which represents that node’s view on the current value of the System. We need to be able to update local state via an increment() call on that node. And we also need to be able to read local state via a value() call on that node. To begin, we’ll just naively represent local state as an integer. Now we need to think about merge(). Remember that a node can receive state from another node at any time. It shouldn’t matter which node it’s receiving it from and it shouldn’t matter if it’s already received that same state. Regardless, our local state should always be converging toward the Value of the System, which in this case is just the total number of times increment() has been called anywhere in the System. A naive implementation of merge() would be to simply add the value of the incoming state to our local value. But this naive approach will definitely fail. The problem is that addition is not idempotent. If we merge in multiple times, we’ll keep adding to our local total. And that means that pretty soon we’ll run past the Value of the System. This implementation of merge() is not acting as a join. Node 1 increments 3 times. Node 2 increments 2 times. Node 3 increments 1 time. We begin with three integers in our System: , , and . No matter how many times we call max() between any randomly chosen pair, we’re never going to get a value higher than . But the Value toward which we were supposed to be converging was We need to try again. 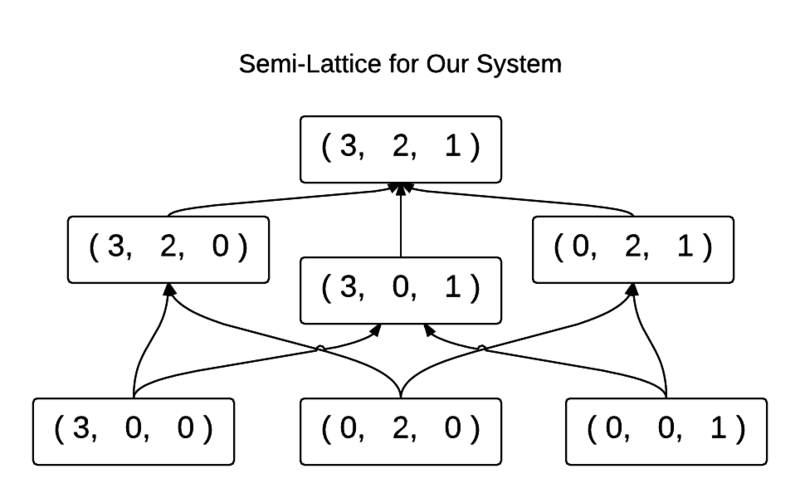 It turns out that we need to make a distinction between the Value of the System, which is the upper bound on our semi-lattice diagram, and the human-readable value that corresponds to that Value. This distinction will be clearer by looking at a much better approach to representing our counter state than simply using integers, an approach borrowed from vector clocks. 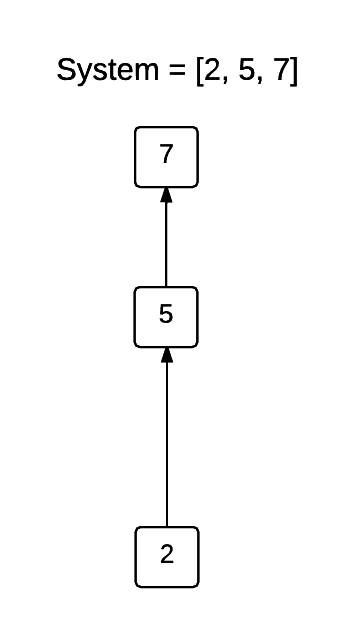 Each node gradually picks up the latest value for the other nodes. And here, taking the max at a coordinate is in effect taking the latest value we’ve seen for that coordinate so far. The Value of our system is , and the human-readable result of calling value() on a node that caught up to that Value is . increment(): Increment the integer at the vector index corresponding to this node. value(): Sums all integers in the vector. merge(incoming_state): Replace our local state with the coordinatewise max of our local state and incoming_state. We see that the vector corresponding to the value of our System is the upper bound on the semi-lattice. Our merge() function corresponds exactly to the join operation on any two of these elements. These joins converge toward the upper bound. You can see for yourself that it doesn’t matter which order we take the joins in. It also doesn’t matter if we merge in the same value multiple times. In essence, we forget about values lower on the diagram, and either stay where we are or move up to a higher point. There are many other kinds of data structures that can be modeled as convergent CRDTs. You can have registers, sets, maps, and graphs. In each case we need to start by defining a value() method and the merge() method. And perhaps in a future post, we’ll look at how to implement some of these. In the meantime, if you’d like to dig deeper into the theory behind CRDTs (including operation-based CRDTs, which we haven’t discussed yet), check out A Comprehensive Study of Convergent and Commutative Replicated Data Types by Marc Shapiro, Nuno Preguiça, Carlos Baquero, and Marek Zawirski.